Zotefoams Plc (LON:ZTF) CEO David Stirling talks to DirectorsTalk about its strong interim results for the six months ended 30 June 2018. David explains what has driven the growth, why high performance product sales are up 89%, the three major projects to increase performance, how they are developing and David’s view on the trading performance with an outlook for the remainder of the year and beyond. Zotefoams plc (LSE – ZTF) is a world leader in cellular materials technology. Utilising a variety of unique manufacturing processes, including environmentally friendly nitrogen expansion for lightweight AZOTE® polyolefin and ZOTEK® high-performance foams, Zotefoams sells to diverse markets worldwide. Zotefoams uses its own cellular materials to manufacture T-FIT® advanced insulation for demanding industrial markets. 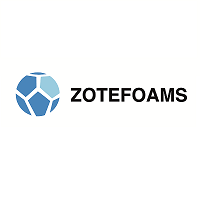 In addition, Zotefoams owns and licenses patented MuCell® microcellular foam technology, developed specifically for extrusion applications, from a base in Massachusetts, USA to customers worldwide. Zotefoams is headquartered in Croydon, UK, with additional manufacturing sites in Kentucky and Oklahoma, USA (foam products manufacture and conversion), Massachusetts, USA (MuCell Extrusion) and Jiangsu Province, China (T-FIT®). A third foam-manufacturing site, in Poland, is planned to begin operations in 2020.